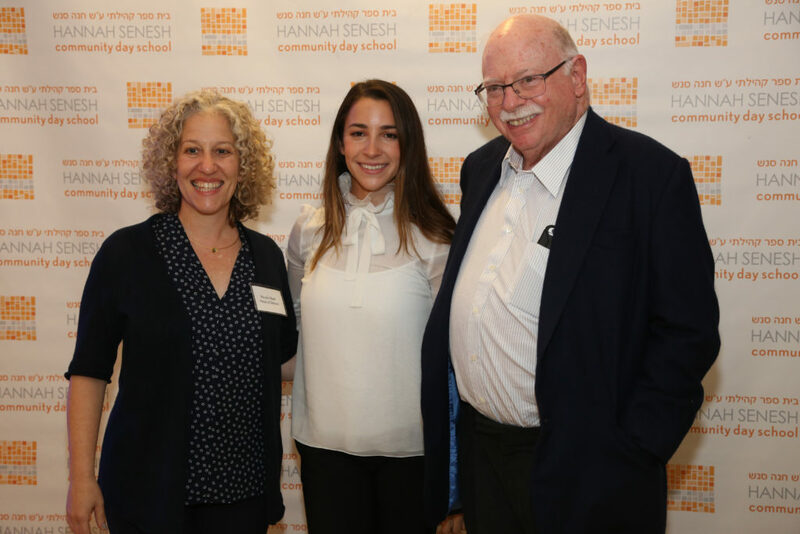 Olympic gold medalist Aly Raisman, one of the country’s most decorated gymnasts, spoke before a packed audience on Tuesday, October 24, 2017 at Hannah Senesh Community Day School. The two-time Olympian took part in a conversation moderated by journalist Virginia Heffernan, a Senesh parent. 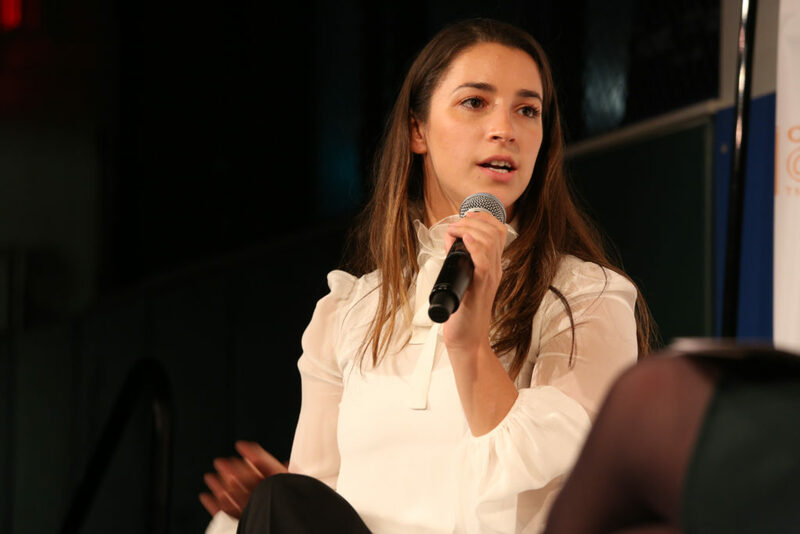 The evening focused on the Jewish values that have helped shape Raisman’s competitive spirit as a gymnast and have motivated her to speak out on important issues. Raisman attributed her success to a sheer love of gymnastics, immense amounts of hard work, a healthy dose of self confidence, and parents who supported her — leaving the pushing to her coaches. When six-year-old Aly was the only one in her gymnastics class who did not get to move up to the next level, her parents made her feel special, she said, as if it were a privilege to repeat the class. When Raisman performed the dazzling floor routine that would win her a gold medal during the 2012 London games, she was accompanied by “Hava Nagila,” the popular Jewish folk song. Raisman, who selected the music when she was 17 years old, said that she has come to appreciate how powerfully the choice resonated with Jewish audiences across the country. 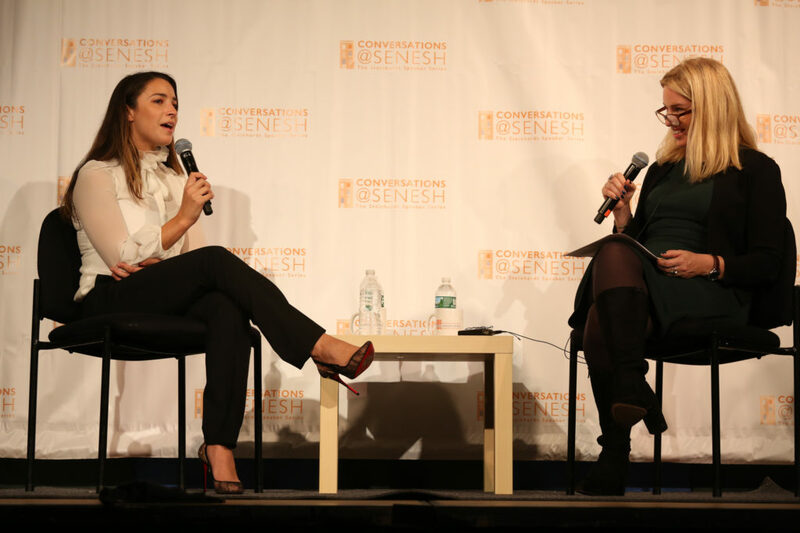 Raisman was the second speaker in Conversations@Senesh, the Steinhardt Speaker Series. With the support of Judy and Michael Steinhardt, eminent philanthropists, the series highlights the strong connection between timeless Jewish values and modern professional accomplishments that continue to improve the world. The evening took place at the school and included a meet and greet reception.